apps that enhance the Linnworks platform. Our apps have been proven to increase sales and improve your customer’s experience while saving you time and money managing your listings, stock, prices and deliveries. We’re eBusiness Guru, a team of certified Magento developers, Google partners and eCommerce marketing experts. Our forte is helping Amazon and eBay sellers to create and market their own eCommerce website to drive more sales. We have an untarnished reputation and work on the philosophy that your business is our business and your success is our success. See all your Groupon marketplace payments in the same screen. Our easy to understand payments screen helps you identify your outstanding payments at a glance. We design responsive and engaging eCommerce websites that Google and prospective customers will love and we know how to drive traffic and sales! A qualified Magento development partner, with over 250 satisfied customers, Ebusiness Guru offers tailored store designs. Automatically import & dispatch your Groupon orders in Linnworks as easily as you do with Amazon & eBay orders. Connect Linnworks and Xero/Sage in a flash. Sync invoices and calculate VAT quickly and easily. Want to sell in Europe? Spartoo is the leading European marketplace. Manage listings, orders and inventory in Linnworks. Amazon is one of the largest online marketplaces in the world. Ebusiness Guru's experts can help you get noticed. Our eBay experts can list your products, in the right categories, at the right times and prices, increasing your sales. Linnworks users can now upgrade to Peoplevox, the UK's most popular warehouse management system. Connect Privalia/Lazada/Wish with Linnworks for Order & Stock management. Our Multi Channel Consultants have put together digital solutions and have made various eCommerce businesses successful, ranging from local flower shops to publicly traded companies. They’ll do the same for you. 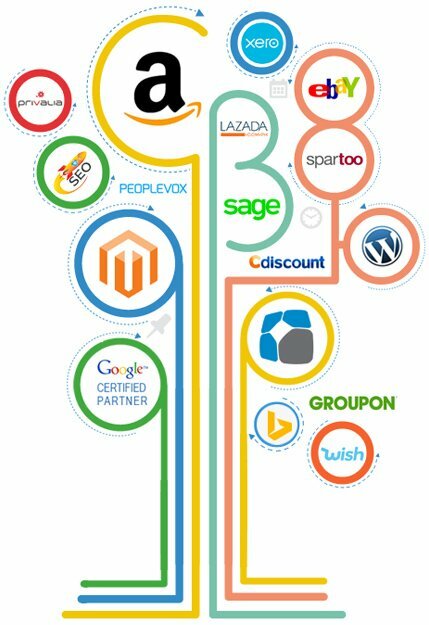 Request a free quote and experience why eBusiness Guru is rated as the best Multi Channel eCommerce agency for comprehensive solutions.